Michael Darragh MacAuley will make his debut for Eanna on Thursday night in UCD. DUBLIN FOOTBALLER MICHAEL Darragh MacAuley has joined Basketball Ireland Men’s Super League basketball side Eanna. Macauley will make his debut for the Rathfarnham outfit in their away game against UCD Marian on Thursday night. 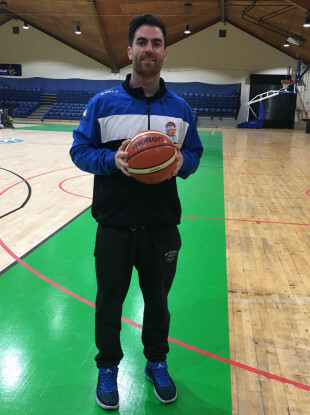 The Sky Blues midfielder has played with Eanna in the past but this marks his first move up to Super League level – the top tier of basketball in Ireland. Macauley is a five-time All-Ireland winner, two-time All-Star and 2013 Footballer of the Year, although he saw reduced playing time with the Dubs this season. Much of that was down to a knee injury he picked up during the early part of the summer, but he did recover to feature as a 57th minute substitute in the All-Ireland quarter-final win over Monaghan. That was to be Macauley’s last Dublin appearance of the year and he failed to see game-time in either the semi-final or final. Kerry veteran Kieran Donaghy is a key player for Garvey’s Tralee Warriors in the Super League, while Mayo star Aidan O’Shea featured for Sligo All-Stars in Men’s Division One – a tier below – last season. “I’ve played basketball since I was very young and it was always a really big part of my life until I was 17 or 18 and then football kind of took over,” Macauley stated. “I’ve always played whenever it’s the off season with football – that has been my up season for basketball and this season isn’t any different. Playing basketball has hugely benefitted me for both sports. “There’s loads of players in the GAA who play basketball and it’s helped them tremendously and vice versa. It’s been a huge attribute to my Gaelic football game. Eanna are currently ninth in the 12 team Super League with at least one game in hand on the eight sides above them. Email “Hoop dreams! Dublin midfielder follows Donaghy by joining Super League basketball side”. Feedback on “Hoop dreams! Dublin midfielder follows Donaghy by joining Super League basketball side”.